Morning everyone! 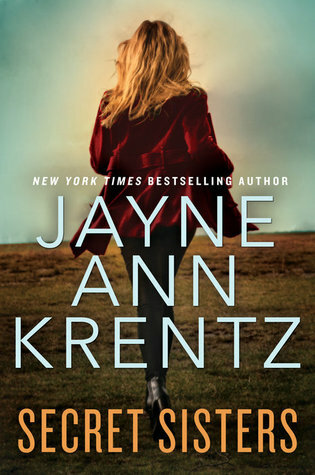 Today is book club day, and if you read the book - Secret Sisters by Jayne Ann Krentz - we hope you'll link up with us or comment your thoughts below! Okay, so when I read the synopsis for this book I thought it would be some sort of mystery / thriller (not normally my cup of tea) with some romance thrown in. I went in with very low expectations because I didn't expect to like it. But I did! Don't you love when that happens? Don't get me wrong - this isn't amazing literature. Karly said it right when she said it was the winter version of a beach read. But who cares?! Who doesn't love a good beach read? It was light, interesting, funny and cute. Yes, I said cute. Seriously though, this book started off a bit bumpy given what happens in the start of the book, but if you're squeamish about it, keep pushing through. It doesn't focus on that. I couldn't have read it if it did. The characters aren't super developed, some parts of the story fit too nicely, and then other parts are a bit wild like the 'villain' kept changing, each time you thought it was one person, it was another! I don't mind, I read it in one sitting so clearly I enjoyed it. Verdict: highly recommend this for a beachy type read - when you want something a wee bit better than fluff, but nothing crazy. You Had Me At Hello by Mhairi McFarlane. From what I can gather from the synopsis it's a '10 years later' type story, after 'it all fell apart'. It looks cute and funny, and lets all judge a book by its cover, shall we? Pretty cover. I am 90% sure it doesn't have anything to do with Tom Cruise. Side note, I've never actually seen that movie. If you read Secret Sisters we hope you'll link up with us below! Awww I need a book club!! You always turn me onto the coolest books I've never heard of - I'll have to check this one out! Dont worry - you're not missing much seeing that movie. Renee Z gets on my nerves BIG TIME in it. I'm glad you liked the book! Sounds like you and I felt the exact same about it. :) When I'm on my computer, I'll have to add my link to the linkup. I can't wait to read You Had Me at Hello - it sounds so cute! "You had me at Hello" sounds like a good book to read! Ooh I'm intrigued. I may just pick this up! I think we delude ourselves into thinking that there's something wrong with enjoying a book that's not a pulitzer prize winner or one that's not received critical acclaim. There are a lot of great books out there that are neither! All you avid readers, go you!!! Glad to hear you liked Secret Sisters! 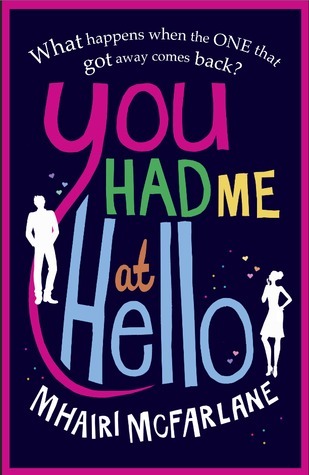 I read You Had Me at Hello a few years ago and thought it was super cute! I love the description of a beach read in the winter! I love a light, easy read sometimes! I wish that I had time to read this book with y'all but I got too sidetracked with the SCWBC15. It sounds like a book that I would like though, so I'll have to read it eventually! I've never seen Jerry McGuire either, but you're right this cover is beautiful! I'm definitely reading this one with y'all in February! I am going to join in for the next book! I just downloaded it! Yay! Ahhh I need more cute books in my life right now. This next one sounds like it will be a good one too! Ummm so we said basically the same thing! Glad we lucked out with that pick! Hopefully the next one is great too! I probably wouldn't have even heard of this book if not for the Literary ladies, and I'm so glad I read it! I enjoyed it much more than I thought I would. Sorry for being late to the link-up!! :) You should totally watch Jerry Maguire sometime...it is pretty cute if not a little cheesy, haha. I have seen it more times than I should have because it used to be on TV alllllll the time when I was a teenager! Secret Sisters sounds interesting. Never heard of it before but I love when book surprises me in a good way. The book you guys picked out for next month sounds good too! Places to get cheap-ish (or free) books!